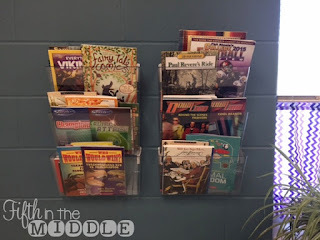 Anyway, earlier this week I walked around my classroom taking pictures of things that went really well this year that I wanted to remember for next year. 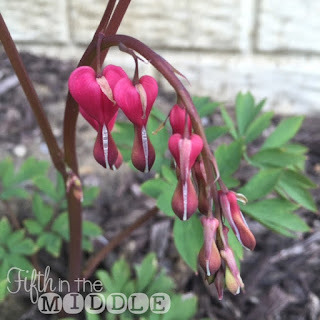 I decided that the ideas might make a nice little blog series. 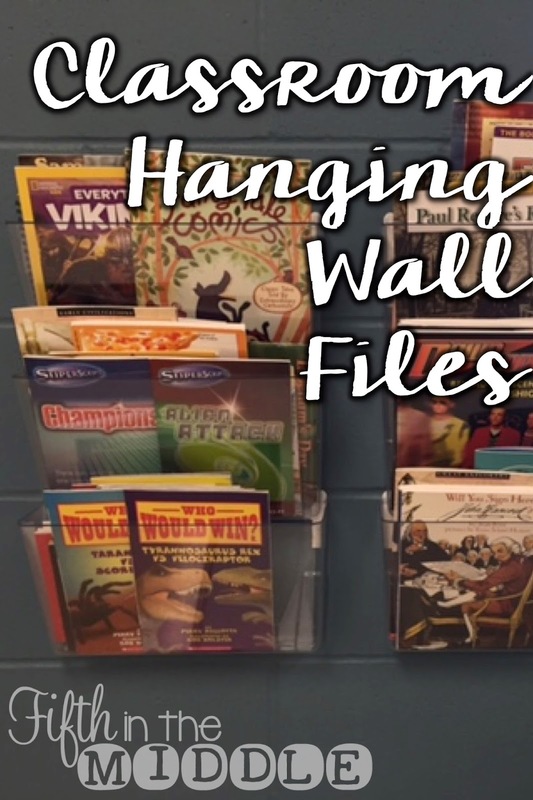 The first idea that I want to share is the use of clear hanging wall files. They can be a little pricey, but I have used them in a variety of ways. I have a total of 12 (which I purchases in sets of 3), and they can be joined together or used separately. Instead of making a hole in the wall, I used medium Command strips (or maybe large?) to attach them to the wall. 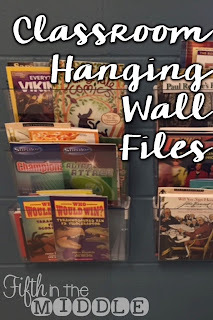 As you can kind of see in this picture, I make sure that the tab extends above the top of the file so they can be removed from the wall if needed. When I have them connected together, I also add strips to the top of the bottom file. This also keeps them from wobbling. 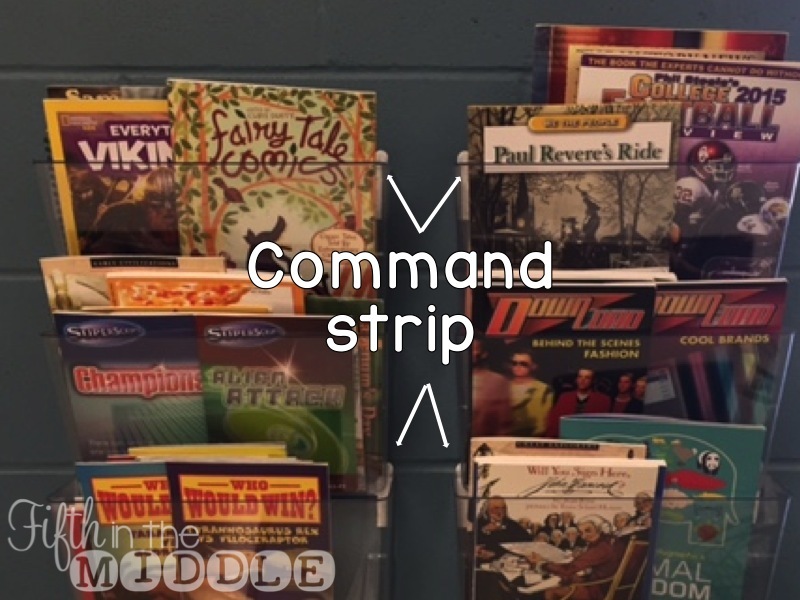 Sometimes I also add a small poster strip to the middle one with the tabs extending to the side. 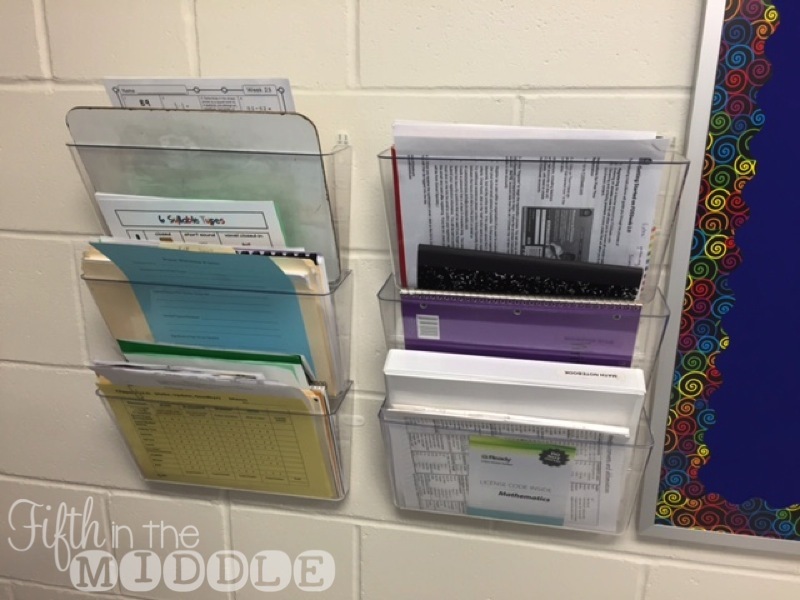 These are hung on the wall about eye level to the students. 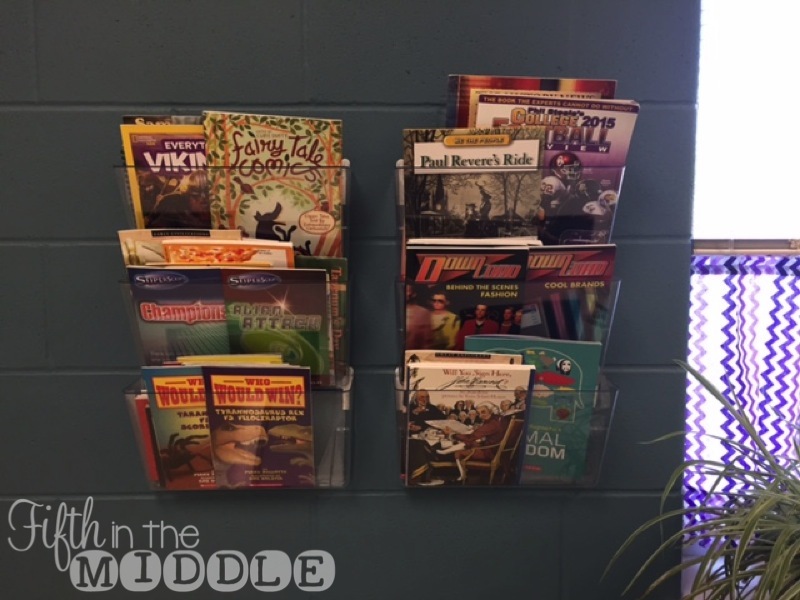 In the past, I displayed the books that related to the current social studies unit in the blank area under my whiteboard and rotated the books with each unit. Since I actually have more room for my library, I use them for the Who Would Win books and other similarly-sized books. If you use them for this purpose, I highly recommend getting clear files so students can see the covers through the plastic. Oh, then endless cycle of papers that we must wrangle. I put these right behind my desk or on the side of a file cabinet. When I had to assign homework and take grades, they were labeled To Be Graded, To Be Recorded, and To Be Returned. When I was departmentalized, I labeled one for each class period and I put in papers to be returned. When they were full, I have students pass them out at the end of class. Now that I don't have to assign homework and have fewer papers to check and return, I have 3 behind my desk that are labeled by subject, 2 for PD papers/random whatnot, and 1 for student papers to be filed. 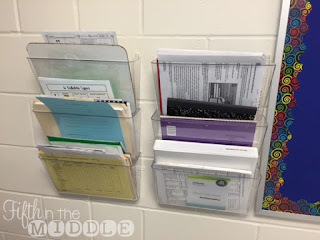 Once I really started incorporating INBs into most subject areas, I struggled with where to store all of my teacher copies. I put files near my document camera and they are now perfectly out of my way and easy to find. 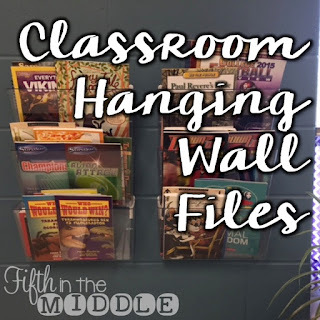 If you use hanging wall files in your classroom in a different way, please comment with your ideas. I'm always looking for new uses! I absolutely love this idea and can't wait to use it in my classroom next year! !